The Lance Family: I love my horsey! 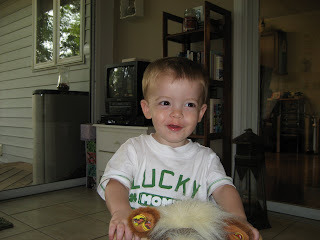 So Jamie wants Sean to be an architect, but judging by how much he loves his animals, I think he may be a veterinarian. He was loving on his horsey tonight and was giving him lots of kisses! 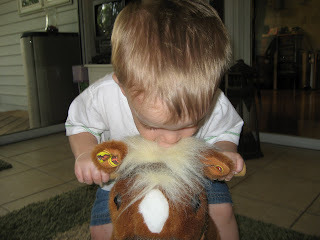 When he got off the horse, he started blowing him kisses - it was too funny! Sean looks so grown up here!